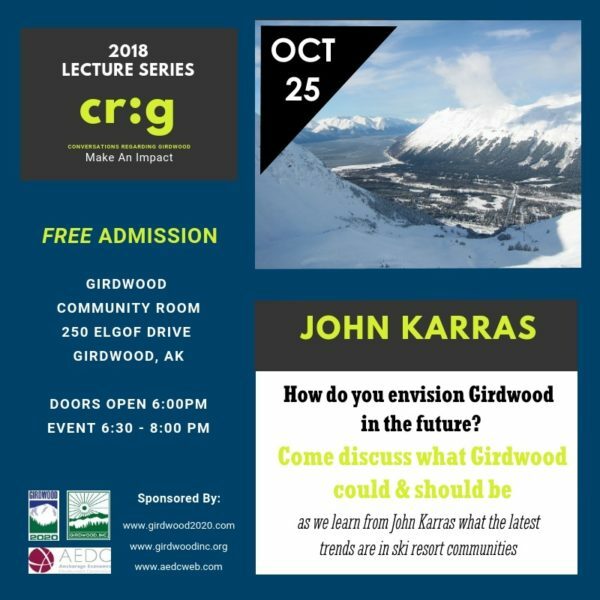 We were very pleased to welcome John Karras, Founder of UrbanSCALE.com, to Girdwood on Thursday, October 25th, as our speaker for the 2018 cr:g Lecture Series: Make an Impact. In addition to his lecture, we hosted a special afternoon program with John, local business owners and community leaders. Both programs stimulated interesting dialogues about our community, as we look at its potential growth and future. 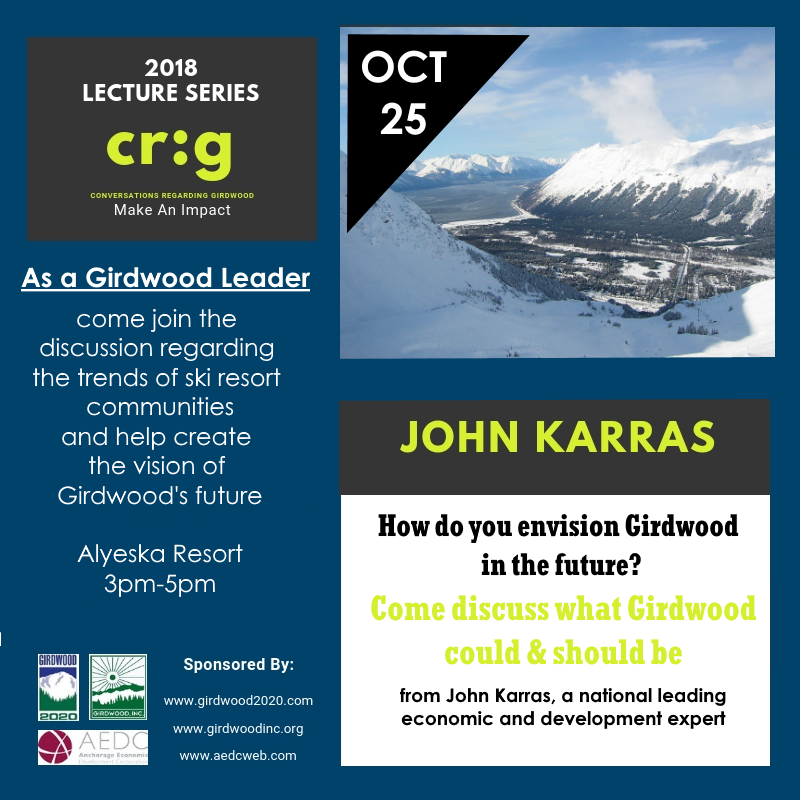 The cr:g Lecture Series is a collaborative effort with Girdwood Inc., with lectures taking place in the spring and fall at the Girdwood Community Room. These events are free and open to the public. Please see below for information about both events, as well as links to view both programs (many thanks to videographer, Corey Mulder, Goldeneye Alaska).